The Amazon Giveaway for Flying through Clouds has finished with 697 entrants to win copies of my new novel. Congratulations to the eight US winners, your copies of Flying through Clouds are in the mail. Many thanks to all the entrants, and good luck with future giveaways. I hope you enjoy Flying through Clouds! To celebrate the release of Flying through Clouds on Amazon in July, I'm having an Amazon Giveaway for US readers only. The Flying through Clouds Giveaway closes on 9 October 2017. 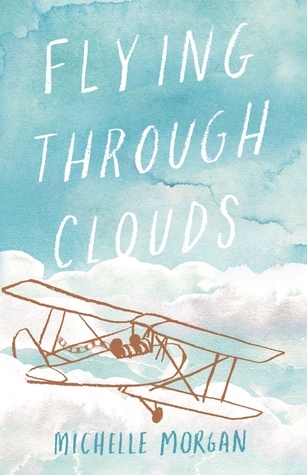 The Goodreads Giveaway for FLYING THROUGH CLOUDS has finished with 164 entrants to win signed copies of my latest novel. Congratulations to the eight Australian winners, your signed copies of Flying through Clouds are in the mail. To celebrate CBCA Children’s Book Week 2017, there will be a Goodreads Book Giveaway of my new vintage YA novel, FLYING THROUGH CLOUDS. Giveaway ends September 04, 2017. For a chance to win one of eight signed copies, enter the Book Giveaway on Goodreads anytime from Monday 21 August to Monday 4 September. Good luck!